We take a winter staycation at the luxury Eagle’s Eye View Cottages on the Kingston Peninsula, near Saint John, New Brunswick, Canada. Winter has always been a difficult season for me and this year was no exception. From late fall onwards, Andrew and I have had our heads down slogging through work, trying to make as much progress on our business as we can before our spring travels. But all work and no play can make us pretty cranky. By February, we were ready for a digital detox and some time away from work-related discussions. We had also been on the lookout for exceptional accommodations in the Saint John area (because we never stop thinking about work altogether). 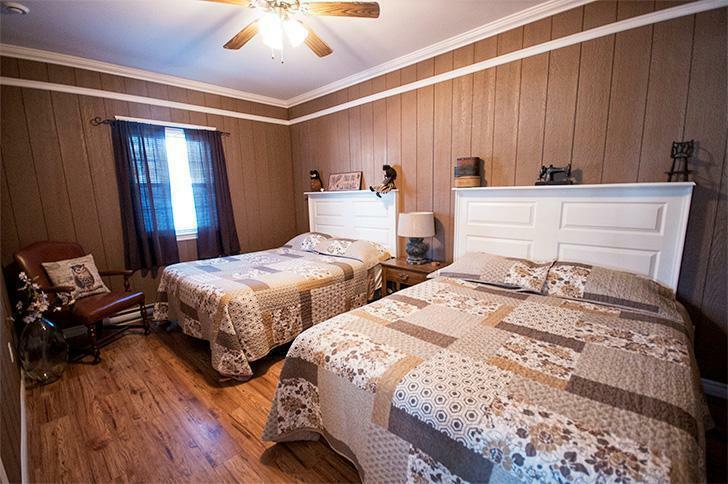 So when Andrew had the opportunity to do some technical support in exchange for two nights at Eagle’s Eye View Cottages, it seemed like the perfect ‘staycation’ getaway. 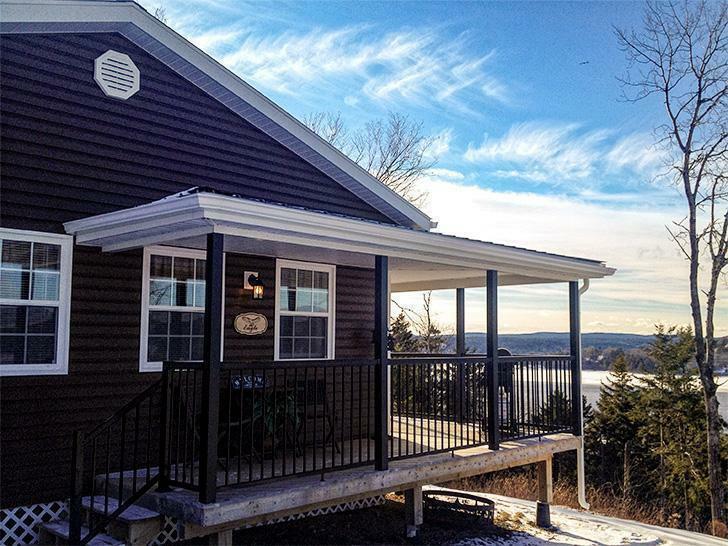 Eagle’s Eye View Cottages are located on the Kingston Peninsula, a truly stunning corner of Southern New Brunswick. 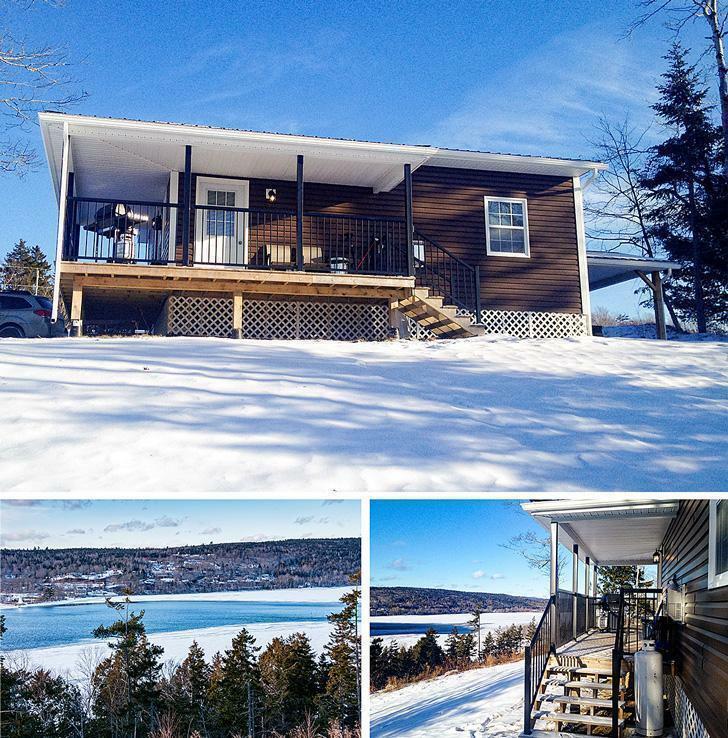 This spit of land sits between the St. John and Kennebecasis Rivers and, despite its proximity to the city centre, has a real island-like atmosphere. The Kingston Peninsula feels like cottage country, although most folks live there year-round. It has a rural, small-town vibe, with plenty of agriculture, including a winery and an excellent summer Farmer’s Market, as well as beaches, recreational facilities, and all the water sports you could want. Yet it’s all within a short (free) ferry ride to the mainland and less than 30 minutes from Uptown Saint John. There’s something about taking the ferry that makes you feel like you’re getting away from it all. 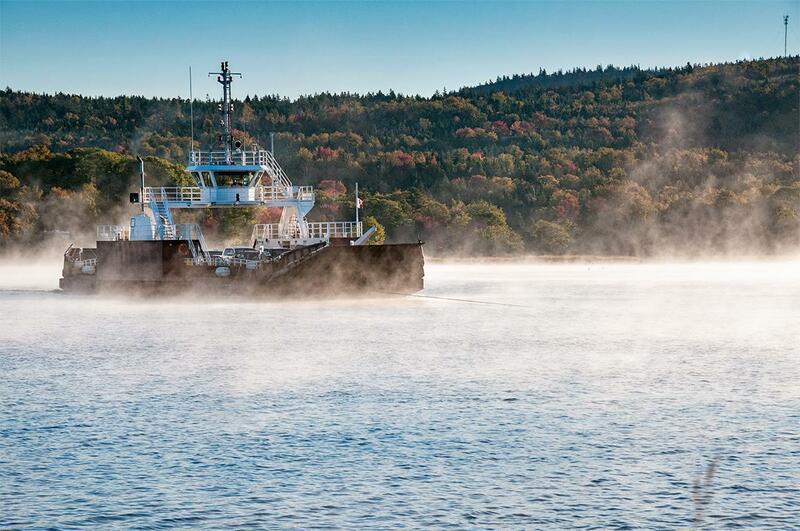 Taking the ferry from Grand Bay to the Kingston Peninsula makes it feel like the start of a holiday away. Frankly, with this ideal location on the Kingston Peninsula, we’d be happy enough with a rough-hewn log cabin and some sleeping bags. But our stay at Eagle’s Eye View Cottages was about as far from ‘rustic’ as it gets. Now we had high expectations for Eagle’s Eye View Cottages. The operation is run by a family my own family has known for many years. The patriarch, Keith, has been my parents’ contractor for several home renovation projects, so we’ve seen the excellent quality of his work first hand. While I didn’t know his wife, Brenda, personally, my mother raved about her eye for design and her attention to detail and quality. Frankly, it sounded like an accommodation dream team. We weren’t disappointed. While most cottage-style accommodation closes up after Labour Day in NB, Eagle’s Eye View keeps several of their cottages open year-round. We arrived at Eagle’s Eye View the day after a massive snow storm hammered the southern half of the province. We had spent the entire day before shovelling so we were more than ready to relax. The roadway to our cottage had already been cleared for us, and the cottage looked warm and inviting. While we knew we were staying in the most luxurious of the cottages, we were still speechless when we stepped inside. 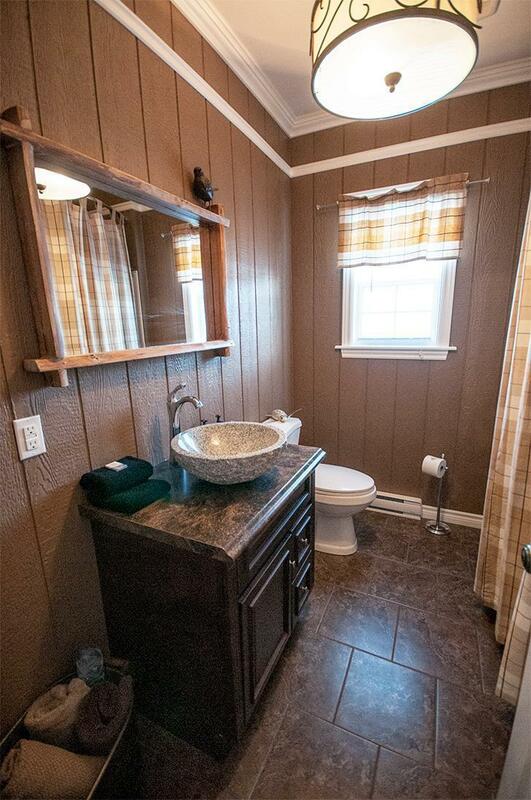 Our cottage, Eagle, was nothing short of a tiny house (and honestly not all that tiny) decorated in warm earth tones. We walked into an open living room and kitchen area. 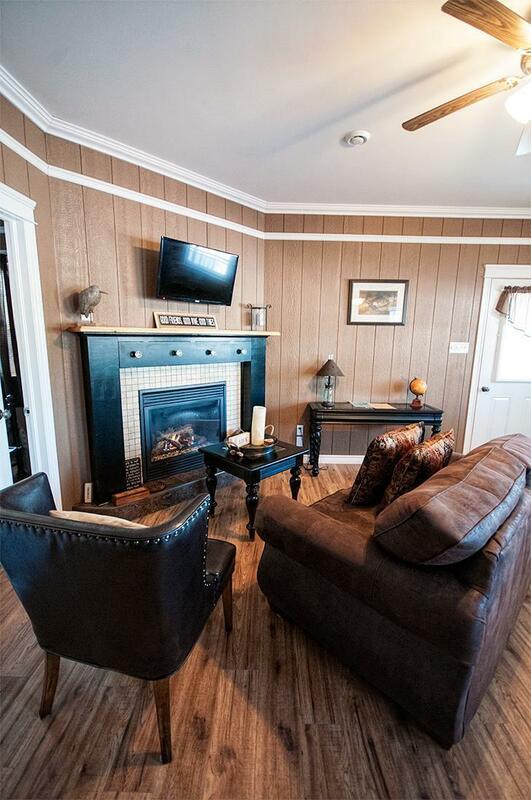 The living room was centred around a gas fireplace with a cosy leather loveseat and chair and wood floors. 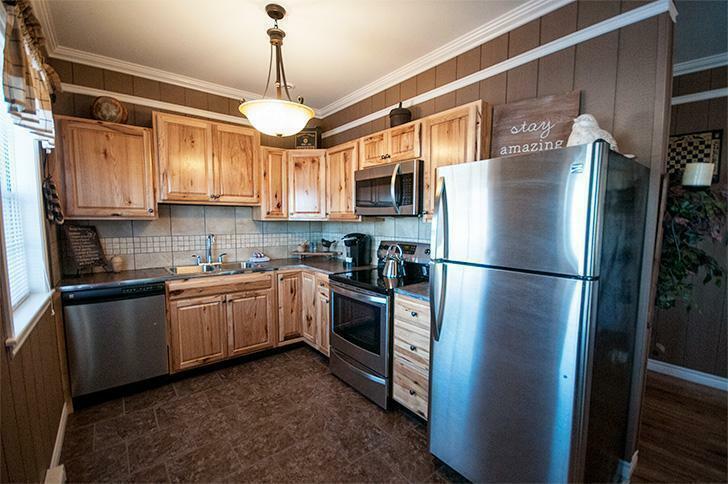 The kitchen was fully stocked with cookware and modern appliances, including a dishwasher, microwave, and full-size refrigerator. 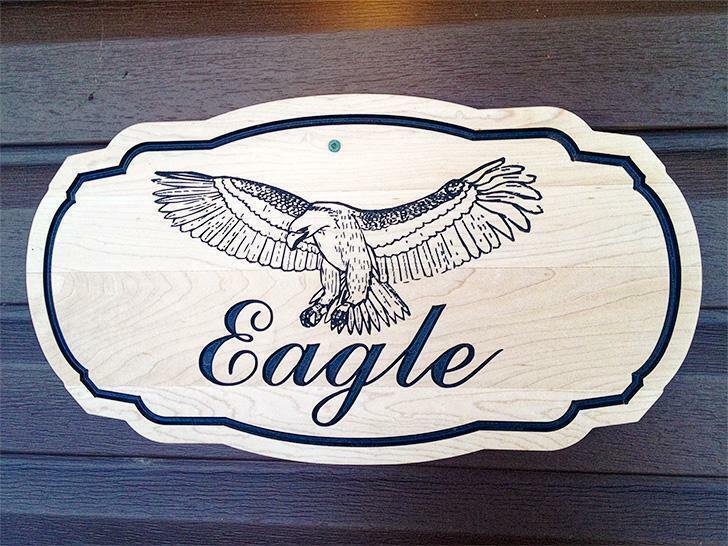 But Eagle’s luxury doesn’t end at its beautiful interior. It also has a porch that wraps around two sides to take full advantage of the stunning views. On the porch, you’ll find a gas BBQ for summer grilling. But what we really came for was tucked around behind the cottage – the hot tub. After a full day of shovelling snow, I can’t tell you how good it felt to dash outside in sub-zero temperatures and sink into the hot tub with a glass of wine; pure heaven. When we weren’t soaking in the hot tub (and we did do our fair share of soaking) we feasted on Mexican and Indian dished I’d cooked ahead to heat up at the cottage. We also started planning our summer motorhome travels through Quebec and simply enjoyed some quiet time reading in front of the fire. Between the hot tub and the fireplace, Eagle cottage is the perfect, cosy, winter getaway spot. 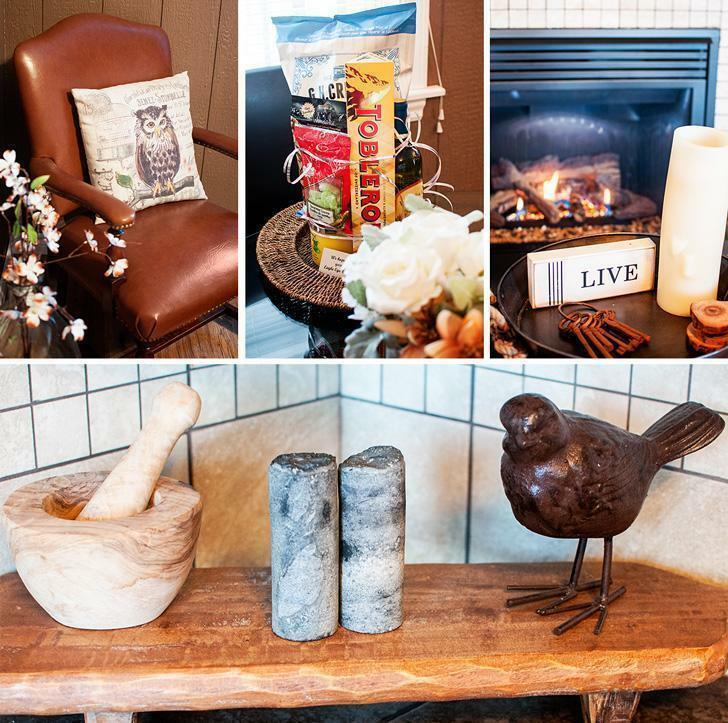 The details are what make Eagle’s Eye View Cottages feel like home. 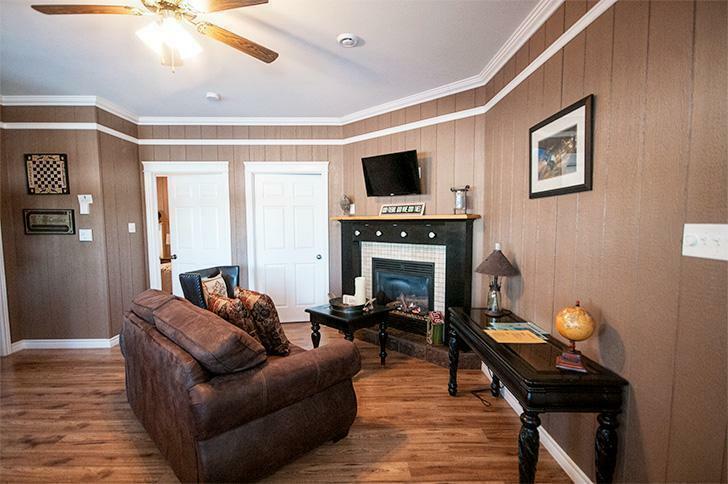 However, being the imaginative folk we are, we can envision Eagle’s Eye View Cottages as a great family destination in the summer. 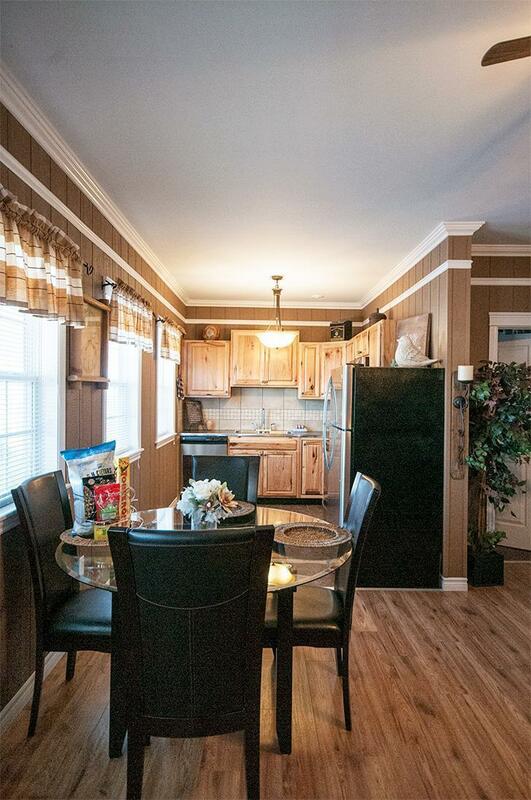 There is a big open field between the cottages with plenty of space for kids to play and there are countless outdoor activities within easy reach on the Kingston Peninsula or just a short drive away to Saint John and the surrounding area. Keith took the time to show us around the other five cottages, all named for birds, and shared their future expansion plans. 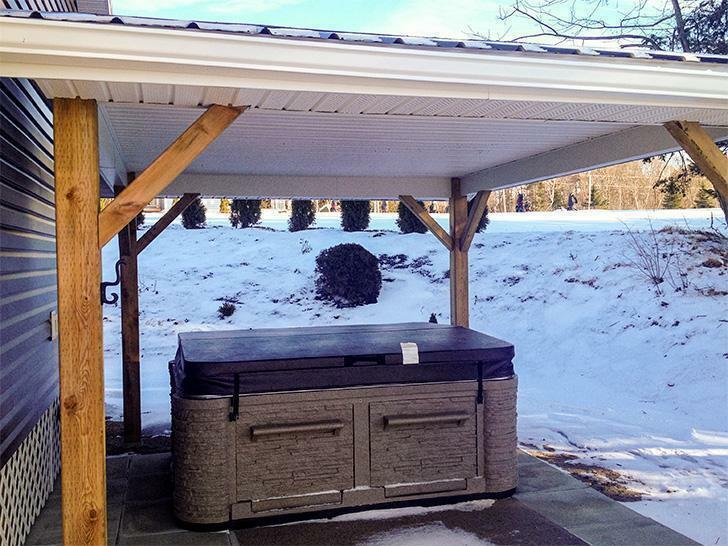 (A few more hot tubs and luxury cottages are in the works.) Keith and Brenda built their empire a few cottages at a time. The first three were in a more rustic style than Eagle but are still lovely and fully equipped. 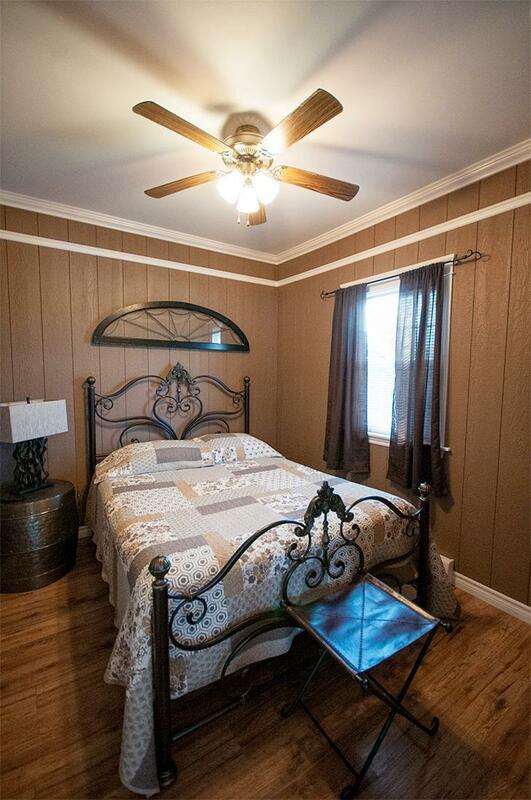 We thought ‘Chickadee’ with its open loft was particularly charming. 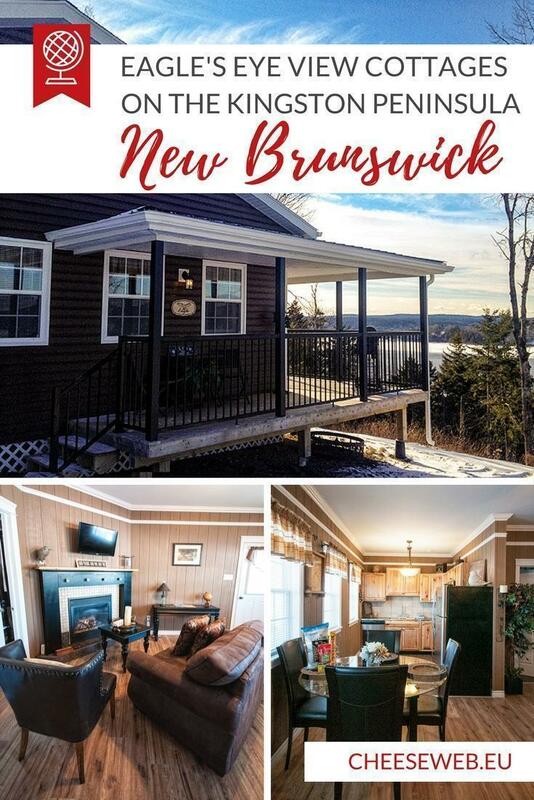 Whether you live in Saint John and are looking to have a little ‘staycation’ of your own, or you’re coming to discover what southern New Brunswick has to offer (Spoiler alert – A lot! 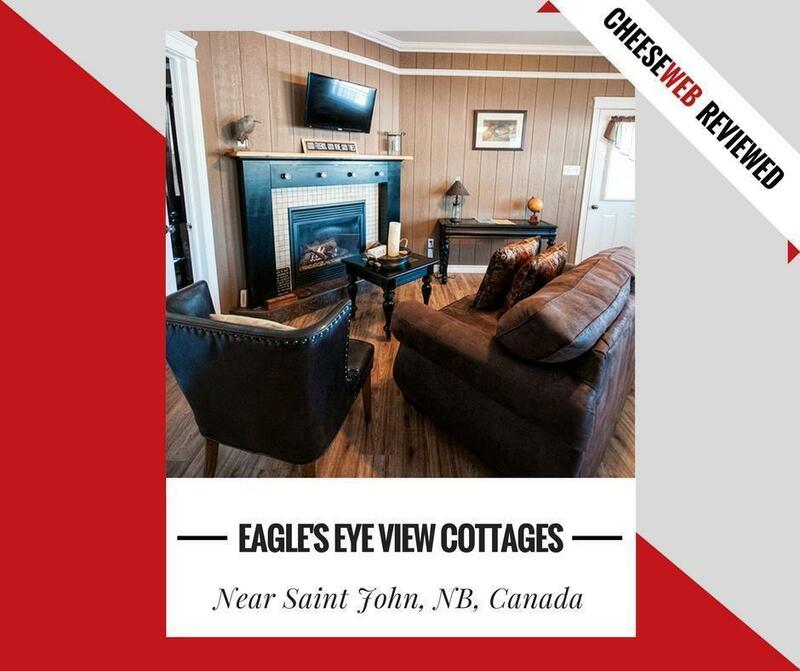 ), Eagle’s Eye View Cottages is the perfect base to explore Saint John, the Kingston Peninsula, St. John River Valley, and Southern New Brunswick. We’d like to thank Brenda and Keith for our fantastic stay at Eagle’s Eye View Cottages. As always, we only share what we love on CheeseWeb and all opinions remain our own.